﻿﻿﻿ ﻿﻿﻿ ... Inspiration, that is. Nothing like a day at an Antique Show (Antique Festival of the Ozarks' first show) for some great shopping or to give you some fun ideas for displays! I'm always ready for a trip to a great store, Open House, or show, to get those creative juices flowing. And I guess they were, because I left the show Saturday and went directly to find another booth space! Who knew...?? I like to "shake things up" every once in a while, and I was definitely in the mood to do some shakin'! Not to mention just trying to clean out the garage. My house has become another storage unit, and it's time to take it back from "Hoarders". Brian was here, but Meloney was in Houston at the Urban Market. These are a few of Brian's great zinc top tables. I forgot to ask what this was, but it was really cool. so cute, sweet, and talented! but Theresa Cano has been my main inspiration since day 1 of blogging. She's generous, kind, beautiful, creative and talented! She was my first blog crush, and she added me to her blog roll. Her slideshows are where I head with my first cup of coffee. Hopefully, I'll have photos of my new space next time. I'm moving in this weekend! Oh, Debra, there is nothing like a wonderful antique show! Love this! I could shop for hours. My family always went every year to the Louisville Flea Market around New Years. When we got out of the car at like 6:45 AM (drove over 2 hrs to get there) we ran to the gate! Yes, I grew up in a crazy antiquing family. It was great! Beautiful things indeed. I am in love with that brown and white pitcher in your header! The bird in the nest is awesome! Oh my goodness!! It would not have done for me to had been there! Back up the truck honey! Wow! No wonder you are so inspired! That was a lot of excellent inspiration! Love it! Can't wait to see your space... ;)) Thanks so much for sharing with us and also for hosting this great party! Have a wonderful weekend! Super interesting displays and something in each space to lure in the shoppers! Looks like a great show, thanks for the tour. Oh my, I see some things I would have had time leaving without. Namely that red and white quilt and those vintage watering cans! Thanks for hosting this! Wow, does this look like fun! Love the zinc top table! Debra, what a great place. I see lots of good things. I have been twice this week to antique/flea markets this week. We are having such great weather I must take advantage of it. Thanks for hosting. Can I shop with you? I'd be in this place for hours and have to rent a truck to haul it all home. Looking forward to seeing your new space. Great photos Debra, I wish I could be shopping with you. 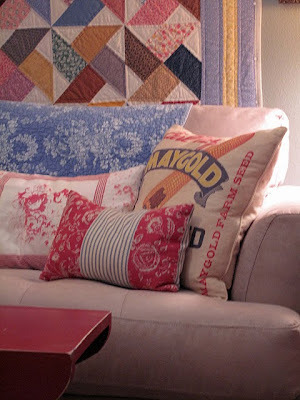 I love the red and white quilts and that wire plant stand is just my favorite. I wish we had more shops like that around here. There's some great treasures there! I'm in love with any and all of the cabinets with drawers and cubbies. They would be great to show my jewlelry! Well Debra, I feel so giddy seeing my name mentioned in this post, you are just absolutely the sweetest!! I'll be linking up with you shortly. Thanks again my friend and happy early weekend to you! We junkers just can't help ourselves, can we! One space is never enough, gotta have more! We are addicted to work! I can't wait to see it all set up. I love all the beautiful photos that you have shared with us. Great stuff. Thanks for all of your lovely comments on my blog Debra, I so appreciate it! Thanks for hosting!! Can't wait to see the pictures of the new space all set up and pretty! OMG, Debra, It's a GOOD THING I'm not at that Antique Show. I see WAY TOO MANY things I would take home! I would REALLY need a bigger truck! Thanks for hosting this fun meme. Yes, Theresa Cano is a very talented artist! Thanks for the tour of the show, great stuff. What I would give to have places like these to shop!!! Fantastic items and inspiration, Debra. :-) Thanks so much for hosting. So much inspiration Debra!! I stopped by one of my favorite consignment shops this past week and purchased a really sweet miniature chair. I brought it back to work with me and one of my co-workers asked me if I have a hoarding problem. Should I be worried??? Thanks for the opportunity to join your fun party! Wish I lived closer so I could visit your beautiful booth! Nothing like an antique show (or wonderful photographs of vignettes taken at one) to inspire. My goodness! So much inspiration over here! Good luck with your expanding enterprise, Debra! Thanks for hosting the party. It's great to be able to connect with so many creative people. I am new at blogging and this is my first visit with you. Your blog is full of inspiration, so I'm now your latest follower. Looking forward to next week! Lots of eye candy. I have seen that picture of the baby with it's stuffed toy (first picture) before - can't remember where. It always looked so sweet. Wow...great photos of gorgeous stuff! Good luck with your new booth space. I look forward to seeing pics. I'd love to know where it is too so I can find you when I travel down your way. Thanks for featuring my vintage valentines. I had a lot of fun getting them out again this year and staging them for photos. What a lot of wonderful eye candy! Just gorgeous! Thanks for hosting! Man, you're killing me with the goodies, particularly that white cupboard! In this post I can dvelwe for houers, -so many wonderfull things,to see- what an experience to visit, such a place. What a great antique show!!! Wish I was there. I'm going to a big show here in Columbus tomorrow, but it's nowhere near as nice as yours. Looks like there are lots of great items and ideas. Thanks for sharing. What a great show! There were so many nice things to be found, but those zinc top tables - Love at first sight. Thanks for sharing and for hosting this link up. It's neat seeing what everyone else is finding out there. I loved browsing thru the market. Lots of goodies to look at and long for. Thanks for sharing and thanks for hosting. OMG, so much gorgeous eye candy... I just love the baby buggy in the first picture, it's so sweet! Thanks for the tour, and thanks so much for hosting!!! I'm seriously in love with that cabinet, too! And those zinc table tops are beautiful! Thanks for hosting. Happy to be able to link up this week! ...adore the little white barn with the lattice windows!! Thanks so much Debra for sharing these lovely spaces in your neck of the woods. I wish I could be there to see them in person. They are all very inspirational indeed, especially for someone like me who just started with my own space recently. I need inspiration and words of wisdom. Happy weekend! I am going to the next show down there. I will keep watching for the show dates. you always have such great pictures also. Oh wow... I would be like a kid in a candy store at that place!! There's so much to pick through there... and I'm in love with that cabinet, too... beautiful! 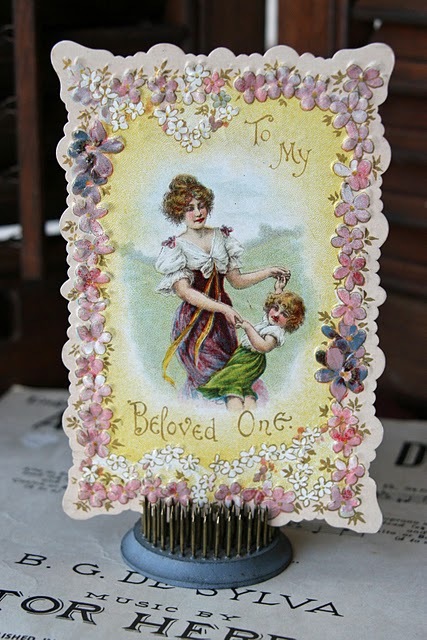 Thanks for sharing this wonderful "vintage inspiration" with us, Debra!! 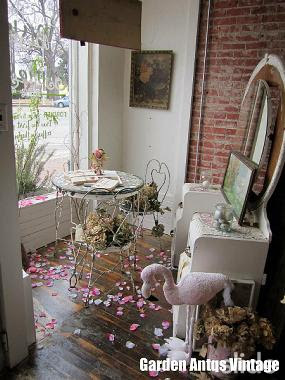 Oh, my gosh....these pictures of antiques make my heart go pitter patter! Those are my kind of places! Thanks for hosting. I linked up my Friday finds. And great party today! Lots of good stuff!!!! Thanks for being so faithful with VIF...believe me , I know the committment it takes. I'd like to participate every Friday, but time does not always allow. Hope all is well and enjoy your weekend. oh, I see so many things that I would have taken home! Sensational post, Debra! I just linked up and now I'm going to grab a cup of tea and study each one of your photos. I'm your newest follower and I love participating in this fun party. Be still my heart! I so would have rolled that baby buggy display right out of the store and I adore that little red barn with cardboard animal set, I would so love to luck on to something like that to decorate our farmhouse. Looks like you had a delicious day! Have a great weekend! Hi Debra, Love all those vintage vignettes! Love your Fridays! Thanks for hosting. Oh my heart is beating faster! I adore all of the treasures. I love a good antique show! Looks like this one had some great treasures, too. So glad I stumbled upon your blog! I'm following!